« New high-speed transatlantic network to benefit science collaborations across the U.S.
Have we detected Dark Matter Axions? Well, that was news to me! Obviously, the key word here is “may”. Nonetheless, I was intrigued, not being aware of any direct detection experiments publishing such results around this time. As a member of LUX, there are usually collaboration-wide emails sent out when a big paper is published by a rival group, most recently the DarkSide-50 results . Often an email like this is followed by a chain of comments, both good and bad, from the senior members of our group. I can’t imagine there being a day where I think I could read a paper and instantly have intelligent criticisms to share like those guys – but maybe when I’ve been in the dark matter business for 20+ years I will! 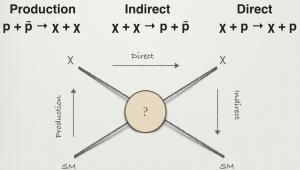 Indirect detection is the observation of annihilation products that have no apparent standard model source and so are assumed to be the products of dark matter annihilation. Production is the measurement of missing energy and momentum in a particle interaction (generally a collider experiment) that could signify the creation of dark matter (this method must be very careful, as this is how the neutrinos are measured in collider experiments). These x-rays supposedly come from a particle called an axion – a dark matter candidate. But to address the comment, I considered LUX, a direct dark matter detector, where what we are actually detecting is photons. These are produced by the recoil of a xenon nuclei that interacted with a dark matter particle, and yet we call it direct – because the dark matter has interacted with a standard model particle, the xenon. So to determine whether this possible axion detection is direct, we need to understand the effect producing the x-rays. And for that, we need to know about axions. 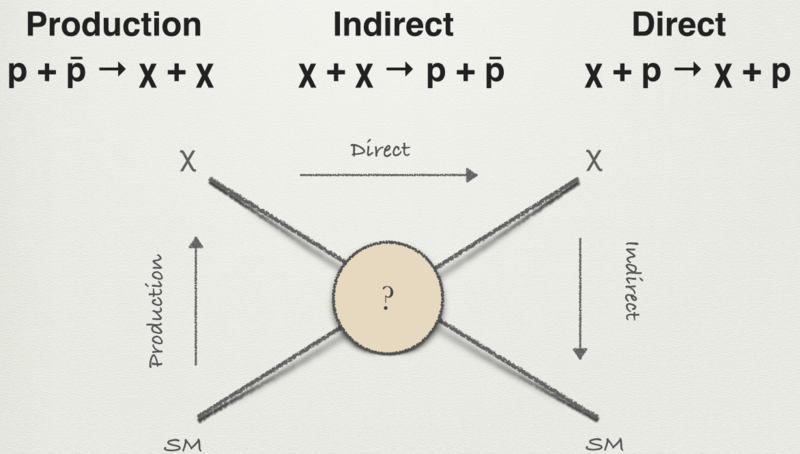 The axion is a light boson, proposed by Roberto Peccei and Helen Quinn in 1977 to solve the strong CP problem (why does QCD not break CP-symmetry when there is no theoretical reason it shouldn’t?). The introduction of the particle causes the strong CP violation to go to zero (by some fancy maths that I can’t pretend to understand!). It has been considered as a cold dark matter candidate because it is neutral and very weakly interacting, and could have been produced with the right abundance. For non-physicists, the key thing to understand is that the axion is a particle predicted by a separate theory (nothing to do with dark matter) that solves another problem in physics. It just so happens that its properties make it a suitable candidate for dark matter. Sounds good so far – the axion kills two birds with one stone. We could detect a dark matter axion via an effect that converts an axion to an x-ray photon within a magnetic field. 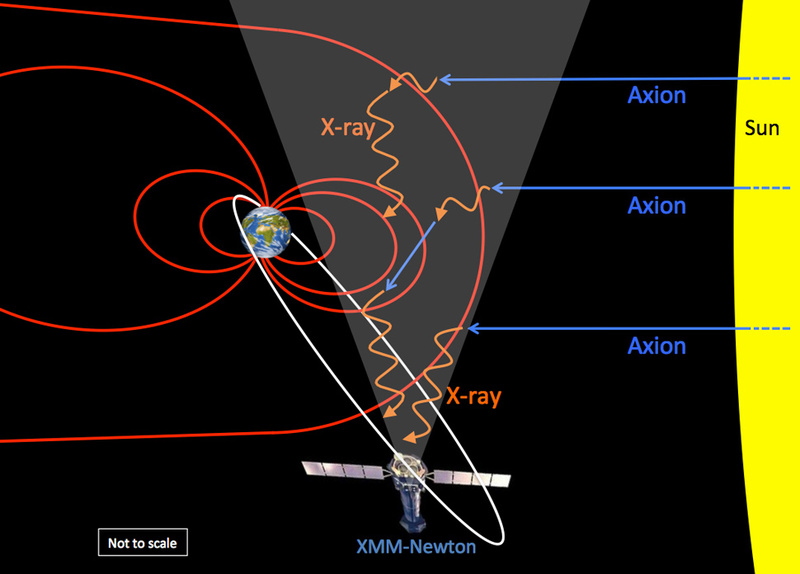 The XMM-Newton observatory orbits the Earth and looks for x-rays produced by the conversion of an axion within the Earth’s magnetic field. Although there is no particular interaction with a standard model particle (one is produced), the axion is not annihilating to produce the photons, so I think it is fair to call this direct detection. These XMM-Newton results are nice, but tentative – they need confirming by more experiments. I can’t help but wonder how many big discoveries end up delayed or even discarded due to the cautiousness of physicists, who can scarcely believe they have found something so great. I look forward to the time when someone actually comes out and says ‘We did it – we found it.” with certainty. It would be extra nice if it were LUX. But realistically, to really convince anyone that dark matter has been found, detection via several different methods and in several different places is needed. There is a lot of work to do yet. It’s an exciting time to be in this field, and papers like the XMM-Newton one keep us on our toes! LUX will be starting up again soon for what we hope will be a 300 day run, and an increase in sensitivity to WIMPs of around 5x. Maybe it’s time for me to re-read that paper on the axio-electric effect in liquid xenon detectors!